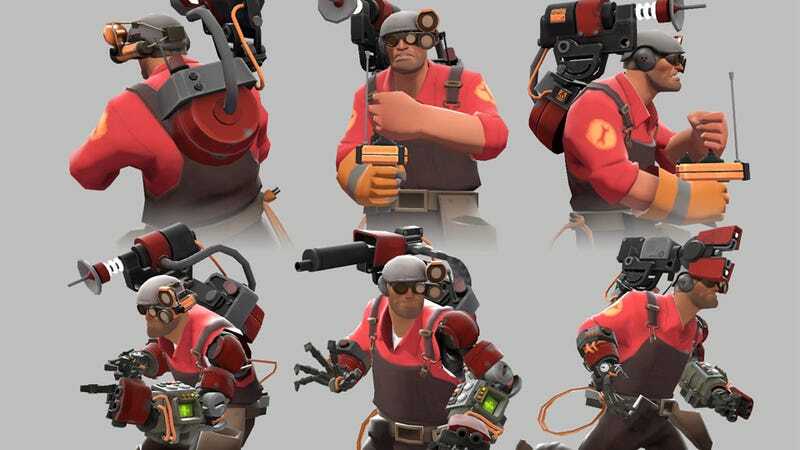 Ever since Team Fortress 2's recent Manniversary update, players have been able to show off fan-made weapons and items in The Workshop, a central spot where other players can vote on them. The best ones then get taken by Valve and turned into actual in-game items. PC Gamer has dug through and found some of the better items uploaded so far, my favourite being the amazing "Mobile Engineer Pack" above. Other awesome examples include an umbrella for the Spy that turns him into Mary Poppins, and a very dashing moustache for the Heavy. You can see more awesome fan-made contributions in the gallery above.